The Burgos natural gas plant is Mexico’s main producer of non-associated natural gas. Natural gas produced from the plant helps the country to curb imports of gas and generate considerable savings of foreign exchange. The cost of producing gas from the basin in Mexico is about half that of importing gas. The plant was built by the state-owned oil giant Petroleos Mexicanos. The project comprises the development of reserves and the production of natural gas in the Burgos Basin, Sabinas and Piedras Negras. It has six cryogenic plants in operation. As the strategic centre of the natural gas market in the country’s northern districts, the Burgos gas complex has a total processing capacity of 1.2 billion cubic feet of sweet wet gas a day, which accounts for 26% of Pemex’s total gas capacity. "Natural gas produced from the plant helps Mexico to curb the import of gas." The Burgos field is a 70,000m2 natural gas field. Pemex planned to develop the field with 166 wells over 15 years. In 2008, Pemex discovered five new wells: Cali-1, Perone-1, Grande-1, Murex-1 and Ricos-1001. According to the Gas Technology Institute, output of the Burgos Basin will increase from 970 million cubic per day in 1999 to 2.3 billion cubic feet per day in 2015. Burgos Basin’s daily output in 2010 was 1.6 billion cubic feet. The Burgos project involved building six cryogenic plants. The plants recover natural gasoline, propane and butane from natural gas extracted from the basin. 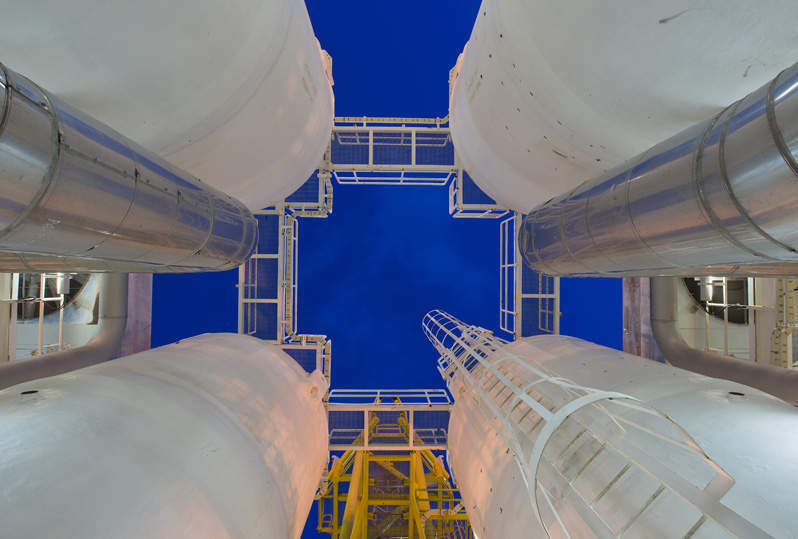 After the first two plants began operations in 2004, Pemex started to construct two more cryogenic modular plants, each with a capacity of 200 million cubic feet, to expand the capacity. These opened in 2006. The fifth and sixth cryogenic plants have a daily processing capacity of 200 million cubic feet of gas. Construction of these plants began in January 2007. The fifth plant was completed in December 2008. Pemex successfully completed the Burgos project with the commissioning of the sixth cryogenic plant in the gas processing centre in February 2009. It was the final cryogenic plant and cost $676m to Pemex. The plant was built under the third phase of the project in the Tamaulipas and Nuevo Leon states. The pipeline was constructed and operated by GasodThe Burgos GPC generates liquefied petroleum gas (LPG). "The Burgos gas project took shape in 2000 when Pemex announced the strategic gas programme." Pemex built a transportation pipeline system in order to supply the LPG to the cities of La Laguna, Saltillo and Monterrey. The pipeline is 188km long, has a 12in diameter and can transport 30,000 barrels of LPG a day. The pipeline was built and operated by Gasoductos de Chihuahua. The company obtained the required authorisation in late 2005 and opened the pipeline in December 2007. In October 2008, approximately 270,000l of condensate was extracted illegally from the Burgos Basin due to insufficient surveillance operations. The extracted condensate was later seized and Pemex increased its surveillance over the basin to avoid future tapping incidents. "The Burgos gas field contributes more than 78% of Mexico’s LPG production." The Cuenca de Burgos gas field is one of the important non-associated gas basins located in the north-eastern part of Mexico in the states of Tamaulipas, Nuevo Leon and Coahuila. The gas field contributes more than 78% of Mexico’s LPG production and 22% of its gas production. The Burgos gas project took shape in 2000 when Pemex announced its strategic gas programme with the aim of increasing non-associated natural gas production in Macuspana, Veracruz, Misantla, Tampico and Burgos.